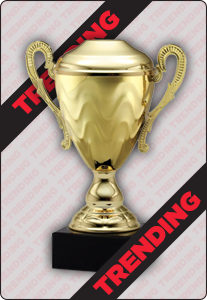 Highlight the top talent on the soccer pitch with this star-worthy soccer trophy. Our Figure Trophy Series Soccer trophy can include an engraving plate to customize the awards to each player. Our typical lead time with this product is 5-10 business days.